Our community has experienced a very difficult time during and in the aftermath to Israel’s Operation Protective Edge.We have seen a paradigm shift in attitudes towards Israel and by extension the Jewish community, including an unprecedented upsurge in antisemitic incidents and public hate speech. 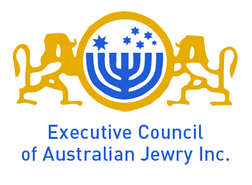 Alarmingly, this has manifested itself in some of the mainstream media and has been accompanied by hate-filled, ignorant and toxic commentary in social media and on our streets, including threats and acts of violence.The Executive Council of Australian Jewry as the elected representative organisation of the Australian Jewish community, together with its constituents (the Jewish Board of Deputies in NSW and Queensland, the Jewish Community Councils of Victoria, South Australia and Western Australia, the Hobart ACT Jewish communities) and its affiliates (AUJS, WIZO, NCJW, Maccabi, B’nai B’rith, Council of Orthodox Synagogues and the Union for Progressive Judaism) and others, have been at the forefront of protecting and advancing the community’s and Israel’s interests. the erosion in support for Israel within the Australian Labor Party, especially in New South Wales, leading to a weakening of the cross-party consensus on Israel that has been a feature of Australian politics since at least the mid-1950’s. Physical Security –CSGs across Australia continue to perform invaluable work in monitoring the nature and level of threats to the community and protecting our institutions and those who use them. This includes calibrating alert levels, crisis management and liaison with federal and state law enforcement agencies and much more. Media –Media bias against Israel, and the steady mainstreaming of antisemitism that it produces, have for a long time been vexed issues for our community. These issues came to a head during the year in several notorious instances. The ECAJ has held productive meetings with significant national media organisations over the last few weeks. For the first time in many years we are seeing signs of real engagement with our community by parts of the media that have long been hostile; admissions of bias instead of denial; and genuine disturbance at the implicit antisemitism in some of the coverage and the overt antisemitism it has provoked and legitimated. Sincere attempts are being made to redress these problems. Although it is too early to draw firm conclusions, it appears that our interventions are having a positive effect. We will, however, continue to monitor and where necessary react on issues of balance, fairness and accuracy in media reporting. Political Action – The ECAJ and its constituents have met with members of Federal and State Parliaments, to discuss the community’s concerns and propose steps to allay our justified concerns at the breakdown in social cohesion in the country and the threat to our security. Other organs of civil society – We continue to maintain and develop understanding on issues of critical importance to the community, with a wide variety of groups.BDS – The boycott, divestment and sanctions (BDS) campaign against Israel had a brief resurgence during the Gaza War before dying down again. The ECAJ has continued to co-ordinate the national effort against BDS and other aspects of the global assault on Israel’s legitimacy as the nation State of the Jewish people, and the denial of Jewish people-hood. We continue to monitor and track anti-Israel activity in each State and territory and to issue to all interested Jewish organisations a weekly report of all past and upcoming BDS activities nation-wide. This has enabled us to maximize the effectiveness of our media and other responses to BDS and other anti-Israel activities.